As you may know, I participated in “The Art of Patron” contest which was launched on March 1, and I’m told the response was great! They received hundreds of unique, inventive entries. It was a challenge to pick their favorites, but that process is complete and my project is one of the top 25 designs which have advanced to the semi-finalist round. Holy cow! Here’s a photo of my submission titled, Snow Globe – Patron Style. Now, it’s your turn to vote for your favorite design. Voting began today at 12:00 p.m. EST, and I encourage (no, I’m pleading) with you to visit www.artofpatron.com to view the gallery of semi-finalists and cast your vote for your favorite work of art before the public voting period ends on May 31st. 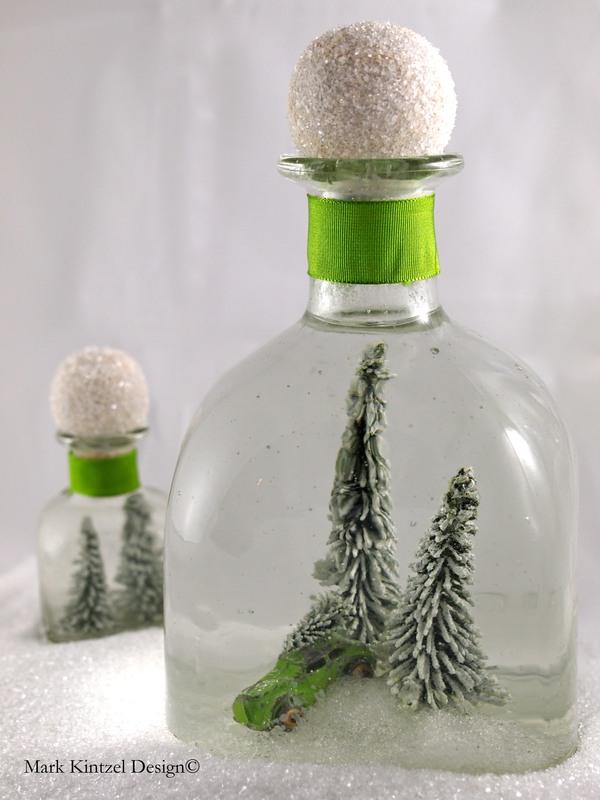 Simply follow the green “Art of Patron” link above, create a profile, then vote! You can also share the contest with your Facebook friends! The 10 designs that earn the most public votes will win $1,000 and have a chance at receiving the $10,000 grand prize. Thank you and have fun voting! This entry was posted in Contests and tagged Design Industries Foundation Fighting Aids, Patron Bottle Snow Globe, The Art Of Patron, The Art Of Patron Contest. Bookmark the permalink. I just wanted to say that I thought your art was great and I’m sorry you didn’t go onto the next round. Either way your a winner! So nice of you to send this note….thank you Andrea!